Hi Dolls! Mari here again with Makeup Monday. Let’s talk dark circles. Most of us have them either from lack of sleep, lack of hydration in the skin, or maybe even just hereditary. We might get it from our mama!!! As a Bay Area Makeup Artist I see this all the time, especially when we have those stressed out brides that are not getting much sleep before the big day! Today I’ll give you some of the basic tips to help avoid or conceal those dark circles. The three items you will be needing are: under eye cream, color corrector, and your concealer. One of the main things you want to have in your skin care regimen is an under eye cream for night and for day wear. Keeping that skin under the eyes hydrated will definitely make a huge impact on the visibility of those dark circles. Now correcting and concealing these dark circles is actual pretty simple. There are three very commonly used tones. 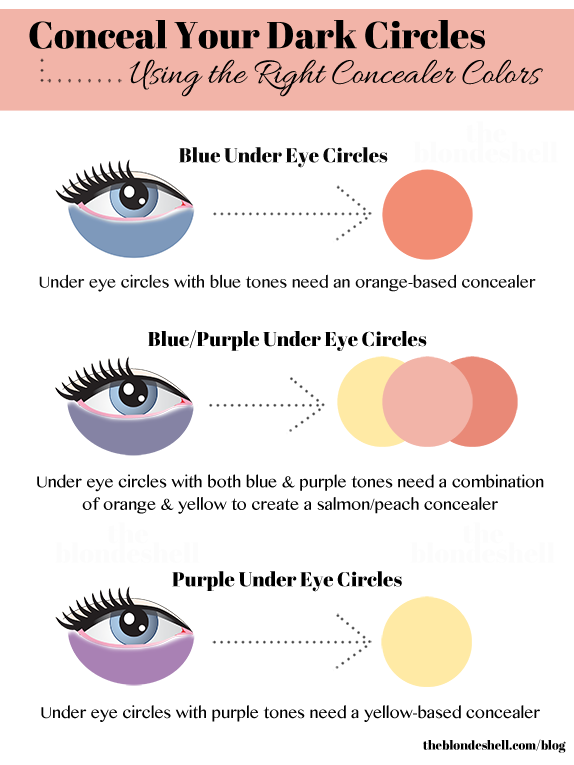 Darker skin tones will use an orange corrector, medium skin tones tend to use a peach corrector and fair skin tones will use a pink or yellow corrector. The correction color should be applied directly and only over the darkness, you want to stay within that line of darkness to ensure the perfect blend. Once the dark circle has the correction color applied you want to take your concealer color, which will probably be a little lighter than your skin tone, and place that over the high point of the cheekbone and blend up towards the under eye to have a seamless and brighter affect.